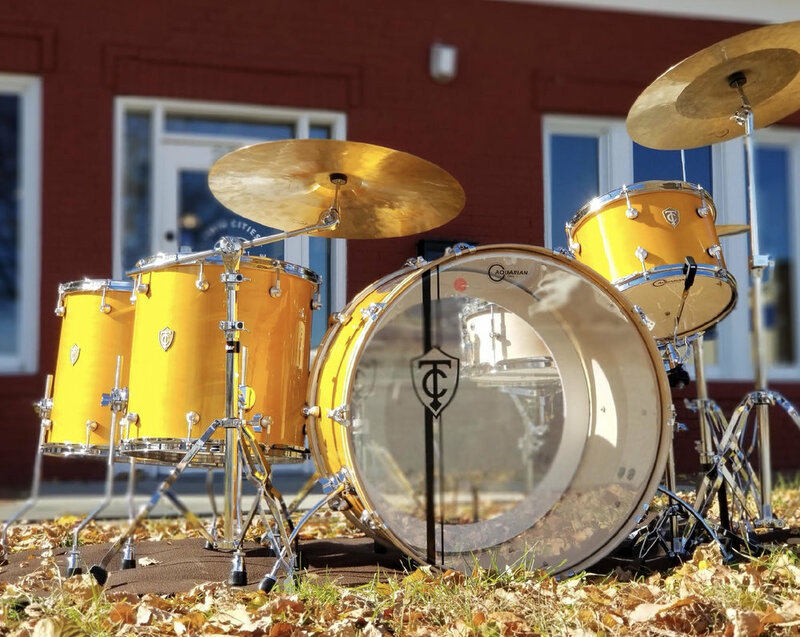 Twin Cities Drum Company (TC Drums) is Collective owner and Designer/Builder Kelly Cook’s signature line. Paying homage to both sides of the river (smart marketing if we can say so), TC Drums begin with 6ply, 4.5 mm all maple shells with TCDC’s own “Big R” (meaning big radius) bearing edges. TC Drums are built to a standard that considers the diverse needs of players and performance situations live and in the studio. They tune easily from the deepest tones to the highest tunings of bop so you can dial in YOUR sound or change it from gig to gig. TC Drums proprietary “Harmon” single point lugs, machined in Minnesota from 60/61 aluminum, were carefully designed with function and aesthetics in mind. Our Harmon lugs have low mass with flawless function that creates a perfect single point lug system. The Harmon lugs paired with the Big R edges result in light weight drums with increased resonance and performance, not to mention an unmatched appearance. We complete TC Drums with distinctive laser-engraved maple badges and Aquarian heads. 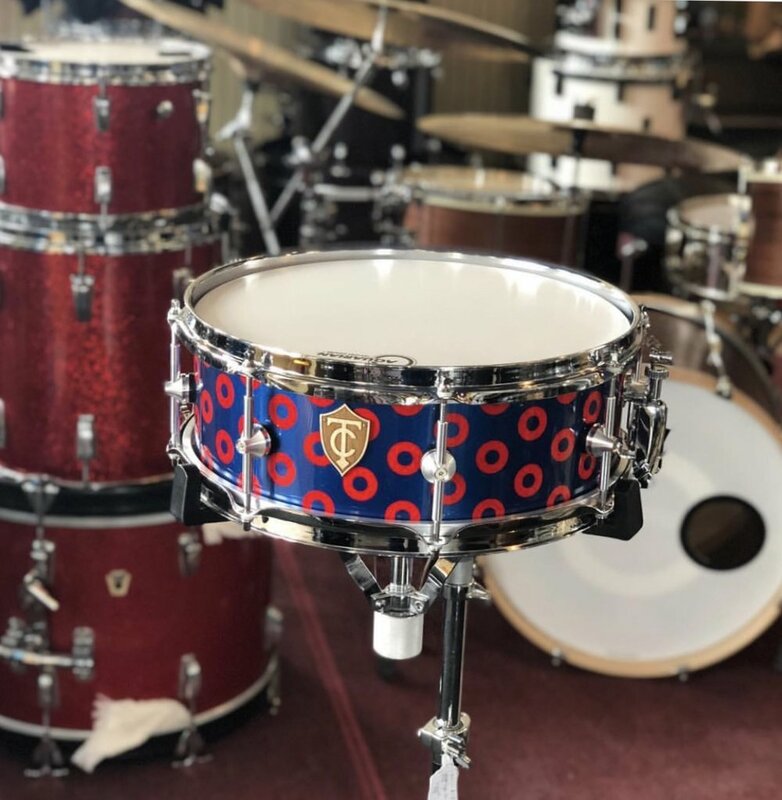 TC Drums, the Collective’s most customizable line, are finished your way, with a full range of veneers, satins, custom paints, wraps, and inlays. Best of all, Kelly walks you through your order from initial ideas to the day you bring home your set for life. He’ll even carry your finished drums to your vehicle and watch you drive into the sunset.